Dr. Chopra is one of the best doctors I have seen. He took his take to listen and diagnose the issuesI was dealing with and me me feel better. He also pulled my medical records in no time after my consent to give me a piece of mind and not having to wait for the results longer. I would totally recommend dr. Chopra. Dr. Chopra is one of the best doctors I have seen. He took his take to listen and diagnose the issues I was dealing with and me me feel better. Healso pulled my medical records in no time after my consent to give me a piece of mind and not having to wait for the results longer. I would totally recommend dr. Chopra. I made an appointment because I had a bad ear ache, cough and sinus congestion. However, when the nurse practitioner camein she started talking about my sugar levels and how my A1C being extremely high and they were going to draw blood. Is all good that they want to address that issue but I did not make the appointment for that. It seemed like my visit was not important. Not sure I will be back unless I see the original nurse practitioner as she was caring understanding the first time around. I was not feeling well at all, had been trying to fight this cold for over a week. If this is how they show concern for my health then they have it all wrong. It needs to be structured . I was not really listening to anything else, I was coughing, congested, headache and half of my face was hurting due to the ear infection. Poor service. I made an appointment because I had a bad ear ache, cough and sinus congestion. However, when the nurse practitioner came in she started talking about my sugar levels and howmy A1C being extremely high and they were going to draw blood. Is all good that they want to address that issue but I did not make the appointment for that. It seemed like my visit was not important. Not sure I will be back unless I see the original nurse practitioner as she was caring understanding the first time around. I was not feeling well at all, had been trying to fight this cold for over a week. If this is how they show concern for my health then they have it all wrong. It needs to be structured . I was not really listening to anything else, I was coughing, congested, headache and half of my face was hurting due to the ear infection. Poor service. 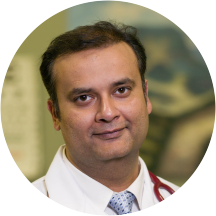 Dr Pankaj Chopra is a Board certified family physician who did his residency at University of Missouri, Columbia, Missouri. He has been working in the East valley over the last several years as a physician, He has served in various medical committees in different hospital systems and has been in a lead role prior to establishing the current clinic. He likes to teach and is currently involved in precepting students. He is interested in Geriatrics as well as acute care. Dr Chopra is fantastic and I am glad that I have found his practice as I have been looking for a family physician for a little while. Waiting time was quick and check in process was easy. After I had receivedmy treatment and my pharmacy could not find the prescription he had sent in, he responded after hours to make sure I was taking care of. I would give him 6 stars if I could! Always a pleasure to deal with Dr. Chopra. Great doctor. Listens and shows care, highly recommend. Dr. Chopra is very easy to talk to and listened to what I had to say. He made conversation not just about my symptoms to understand my life to accurately prescribe a treatment that will work best with my life style.Dr. Chopra is not intimidating and makes an environment for easy conversation. Dr. Chopra was knowledgeable and helpful. He listened to my concerns and I never felt rushed by him or his staff. Payment was straightforward with pricing estimates provided upon request. Best Doctor I have seen in a long, long time. Good experience over all, always in and out. professional office, however thry need ro get a scale to weigh patient's. Met with the practitioner I think? Super friendly and to the point. Then doc came in afterward and said hi and just went over everything and I was on my way! Amazing visit. Very professional, listened to my symptoms and let me speak my mind to have a better assessment of my condition. Dr. Chopra has been very prompt, courteous, communicative with both me and my mother. He took time to answer all my questions patiently. We are able to schedule two appointments on the back of each other within a short notice onthe same day. When I needed MRI, Dr. Chopra took the time to make calls and arrange for MRI imaging on the same day, with helpful suggestions on minimizing the costs of imaging and prescription drug. The man is kind and listens. Dr. Chopra was great! He asked all the right questions. He was very nice and gave us very good health tips. I would strongly recommend him. I was very happy with Dr. Chopra. He was prompt, professional, kind and helpful. He even took time to ask about things I had come in for previously, just to make sure there was no follow-up needed. Very professional and kind! Highly recommend! Very friendly and knowledgeable. It was the first time in my life I felt like the appointment wasn’t rushed! Showed up early and I was still helped right away. Staff and doctor were friendly and helpful and overall my experience was awesome. I have never liked going to the doctors but wow did this visit change my views on doctors. Dr. Chopra was absolutely wonderful he made me feel comfortable, safe, really listened to every detail. He is a very skilled and wellrounded MD. Shanna Carter NP was also amazing. Thank you both. Dr. Chopra was very nice and gave me hope for like after treatment. He assured me that he will be there to help my success. I also felt very comfortable discussing treatment options and even prescribed me a little exercise tonot put mw on any more meds which is unheard of and greatly appreciated. Could not be more satisfied! Staff was great. Did not wait at all. Dr. Chopra was able to see me right away and was very professional. Will be going to see him moving forward. I like this place a lot, even though it was far from my home which I didn't know, but when I got there. The staff was so friendly and professional. I would highly recomand DR.Neha Maheshwari and her staff. When Igot there I saw a lot of patient and I thought it's going to take a long time to see the Doctore, but it was really fast I'm not sure it was 10 or 15 mint waiting. I like the staff when they have a rules and they followe it. I saw the NP, which was thorough and fine. Dr. Chopra was very nice...great bedside manner. He is now my Primary Care Physician...which says a lot! I have a bunch of medical issues, and he wasn't scared by them. Totally cool, nice man! Very friendly and kind. I liked him better then my primary care doctor. Dr. Chopra seemed to really care and didn't seem to be in a hurry to rush over to his next patient. I highly recommend this doctor. Wait was short, staff is professional, Dr and PA student are great! As always my so. And I were very pleased with the care we were provided. Fantastic experience. This is my first visit to this doctor's office and was the best doctor visit in several years. Dr. Chopra was very nice, knowledgeable, and was great with my child. The nurse practitioner did an excellent job with my child as well! They went the extra mile to make us feel welcome and treated us with respect, not likewe were just another patient. His office staff was kind and helpful as well. Very pleased to find an awesome doctor with a fantastic staff who actually gives a genuine care about your family and health! Dr. Chopra was very kind and detail oriented. I am now feeling much better. I would highly recommend! Very nice man and seemed genuinely concerned for my health. It was pretty good & pretty informative. I dealt with his wife as he was at the hospital. He took the time to explain everything. He was immediately able to diagnose the problem.